Economic indicators help investors and analysts assess investment opportunities or entire economies as a whole. 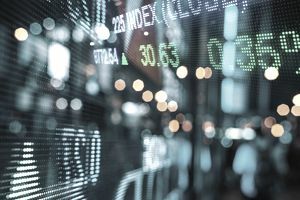 From gross domestic products (GDPs) to consumer price indices (CPIs), there are a number of data points that can help global investors predict changes in a country's economy and strategically adjust their portfolios. For example, suppose an international investor has generated healthy returns over the past several years from Brazilian equities. An investor that tracks the consumer price index may notice that inflation is rising, which means the central bank may decide to hike interest rates. Knowing that interest rate hikes tend to hurt equities, the investor may reduce his holdings. That's only one example. There are multiple economic indicators that investors should track, so it's important to be familiar with the top ones. GDP represents the market value of all final goods and services produced within a country during a given period. The figure is usually given in nominal and real formats, with real GDP adjusting for changes in monetary value. Given its vast breadth, this indicator is among the most watched by the financial markets. The expansion of a country's GDP is indicative of a growing economy, while a contraction in GDP indicates a slowdown in a country's economy. Meanwhile, a country's projected GDP growth rate can be used to determine an appropriate level of sovereign debt or determine if companies operating within the country are likely to experience growth. The productivity and wealth of a country's citizens is arguably the ultimate determiner of economic success. Employment indicators, such as labor force, payroll, and unemployment data estimate how many citizens are employed and whether they are making more or less money than before. The financial markets carefully watch these employment indicators, especially in developed countries that generate most of their income from domestic consumer spending. A fall in employment is often followed by a fall in consumer spending, which can hurt GDP statistics and overall economic growth prospects. CPI measures changes in the prices of consumer goods and services that are purchased by households. The index is a statistical estimate created by using prices from a sample of representative items collected periodically. Often times, this measure is used as a gauge of inflation, which can positively or negatively affect a country's currency. The financial markets carefully watch CPI figures for signs of inflation. Rising inflation can lead to higher interest rates and reduced lending, while deflation can lead to lower interest rates and greater lending. Central banks create monetary policy and exert significant control over a country's economy. Consequently, the financial markets tend to listen closely to every word that central bankers utter publicly for clues about the future. Central bank minutes are formal releases that contain valuable economic commentary that can signal future policy action. In the U.S., the Federal Reserve issues what's called the Beige Book, which contains anecdotal information about current economic conditions from each Federal Reserve Bank. Similar notes are released by many other central banks, including the Bank of Japan, European Central Bank (ECB), and others on a regular or semi-regular schedule. The Purchasing Manager's Index (PMI) is an economic indicator developed by Markit Group and the Institute for Supply Management. By polling businesses on a monthly basis, the index reflects the acquisition of goods and services by purchasing managers. The two most important surveys are the PMI Manufacturing and PMI Services indices. The financial markets watch the PMI Manufacturing and PMI Services indices as key leading economic indicators because companies stop purchasing raw materials when demand dries up. This can indicate problems in an economy much before other reports like retail sales or consumer spending.